A bench comprising Justice MB Lokur, Justice S Abdul Nazeer and Justice Deepak Gupta noted that it had not received information from some very large States such as Rajasthan (vacancies about 50%), Goa (vacancies about 60%)(No appearance in Court today), Assam (vacancies about 40%), Karnataka (vacancies more than 50%), Maharashtra (vacancies more than 50%), Odisha (vacancies about 33%), and Uttar Pradesh (vacancies about 80%). The defaulting State Governments were ordered to deposit the amount with the Supreme Court Legal Services Committee within a period of four weeks. This amount was directed to be utilized for juvenile justice issues. Naturally, they were also directed to provide information to the Centre at the earliest. The court had, on November 22, been assured by the Additional Solicitor General (ASG) that he would update it on filling up of vacancies in the Central Forensic Science Laboratories and the possible reasons for the very large number of under- trials in jails. He had also sought time to take instructions on whether video conferencing facilities and equipment can be made available to all Juvenile Justice Boards (JJBs) throughout the country. If yes, he was expected to inform the court the time frame within which this could be achieved. During the hearing on Thursday, the ASG handed over a brief note on behalf of the Centre, through Ministry of Home Affairs. This note informed the court that there are 97 posts of scientific officers and 67 administrative posts that are unfilled, and that steps were being taken to fill these vacancies. The court, however, noted that no timeline had been specified for the purpose. The Ministry of Home Affairs was, therefore, directed to file an affidavit, indicating the timeline for filling up these vacancies. "Nobody wants to work and they criticise the criminal justice system. MHA (Ministry of Home Affairs) just criticises the criminal justice system but they do not want to do any work. Tell your people to stop criticising criminal justice system and judiciary,", the bench told ASG Aman Lekhi. The court was hearing a matter related to deficiencies in jails as highlighted by two apex court judges, one of whom has retired, during their visit to Faridabad jail and an observation home in June this year. The bench, while referring to the MHA note, told Lekhi that one of the reasons given there was that the trial courts were functioning slowly. "Again the judiciary is to be blamed. Everybody is to be blamed except MHA," the bench said, adding, "Unfortunately, we (Supreme Court) are always right but still nothing is happening". The bench also asked why courts should tell the government how to do its work. "It is like heads, we win, and tails, we win. 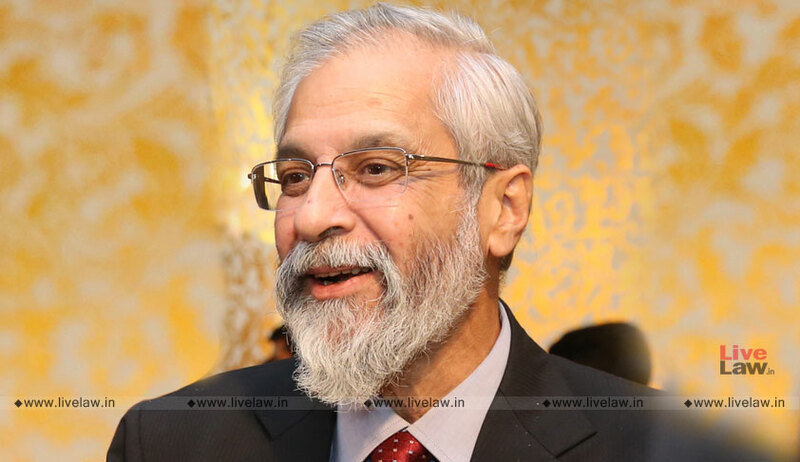 That is the answer of the Government of India so far as judiciary is concerned," Justice Lokur observed. Lekhi told the bench that the government was not working in isolation and he has never said that judiciary should be blamed for all this. To this, the bench said, "Yes. You have not said so but your client (government) has said so". With regard to providing video conferencing facilities to all JJBs, the note stated that while a letter was addressed to the Ministry of Women and Child Development on November 26, no response has been received so far. The Ministry, it said, had in turn sought response from the State Governments. Furthermore, the note had listed down possible reasons for the large number of under-trials in jails. The court opined that “quite a few of these deficiencies pertain to the Union of India and unless the Union of India takes necessary steps in this regard, the large number of under-trials in jails will continue”. The ASG then responded, asserting that there hasn’t been any meaningful cooperation from the State Governments in this regard. It thereafter agreed with the ASG that the State Governments have not been cooperating, adversely impacting the criminal justice system. The defaulting states were consequently imposed with costs. The matter will next be heard in the last week of January, 2019.